AT-KABUL: The Pashtoon people living in the two sides of the so-called Durand Line (in Afghanistan and Pakistan) demand a freely passing the line. In a gathering in the Torkham border township on Sunday, they called on the governments of Afghanistan and Pakistan and allow them to pass the line without passports and only with the national identity cards. They warned to close the Pashtoonkhwah highway connecting Afghanistan’s eastern province of Nangarhar to Pakistan’s area of Khyber Pakhtoonkhaw if their demand was not met by Kabul and Islamabad. 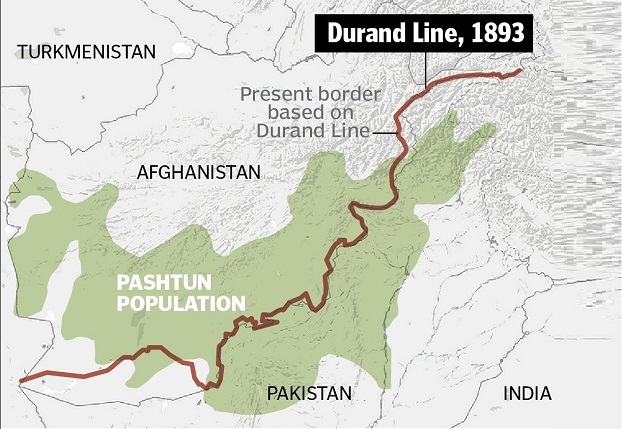 The controversial Durand Line that Pakistan insists to be internationally recognized as official border line with Afghanistan, has separated the Pashtoons. Afghan people, government as well as Pashtoons living beyond the line refuse to recognize it as border line.